The backhand shot is one of the most difficult for goaltenders to stop, as the release point and exact location of the shot are very tough to read. Unfortunately, many players fail to properly practice this crucial shot. This week’s video covers the technique for the tight turn (aka – power turn). 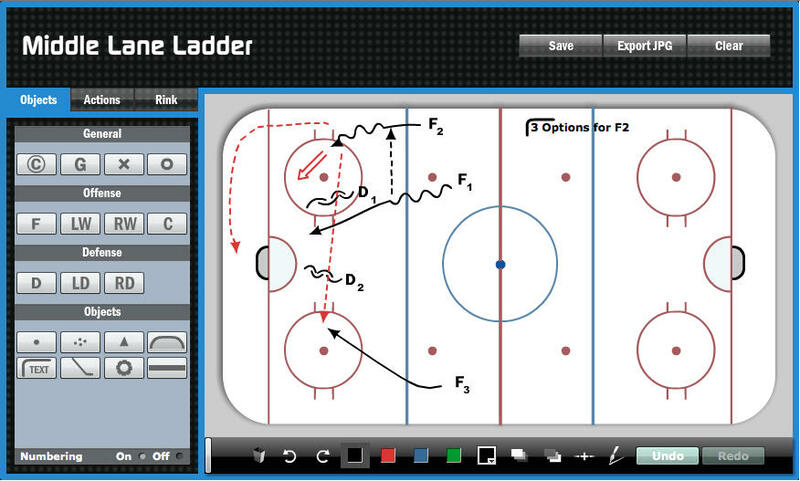 The tight turn is essential for every hockey player to master to quickly change directions. This video covers the skating technique and offers tips on controlling the puck through a tight turn. Mastering the forward quick start in hockey is essential. Without proper technique, skaters will struggle to reach top speed quickly. Hockey is a game of inches, so it is critical players efficiently get moving. In this skill video, we cover the techniques for a basic forward quick start. This week we expand on our last video, which covered wrist shots and move into the slap shot. The slap shot is one of the most exciting shots in hockey – but there’s a lot going on in the actual technique to make it effective. This video covers the basic technique and instruction points for teaching the slap shot.